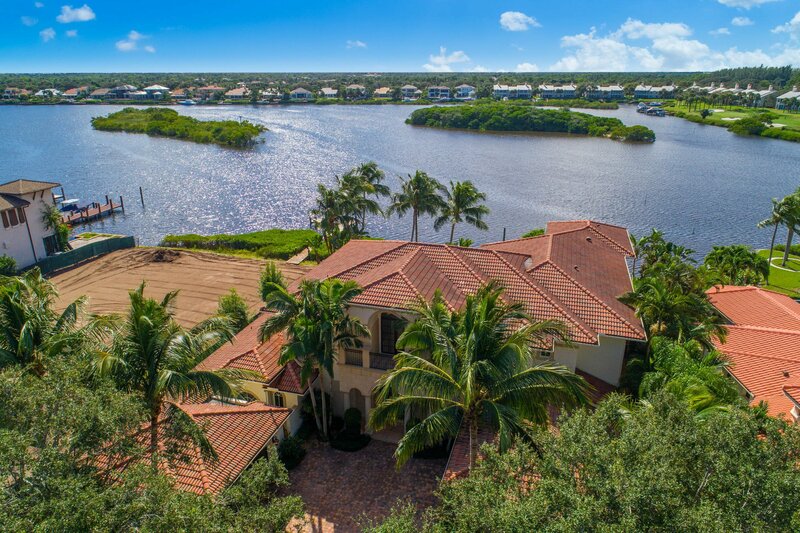 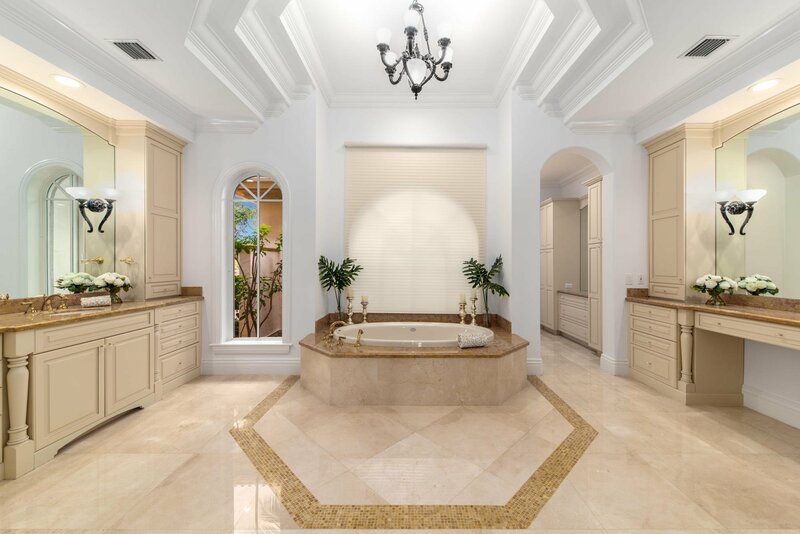 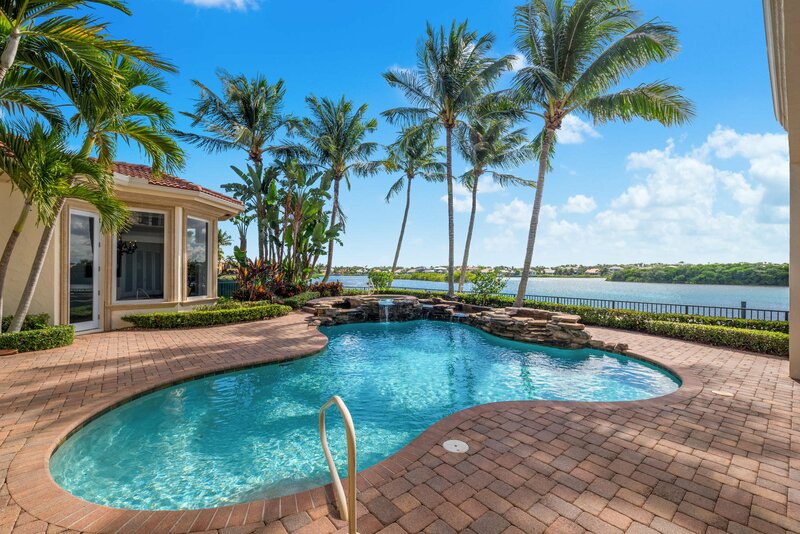 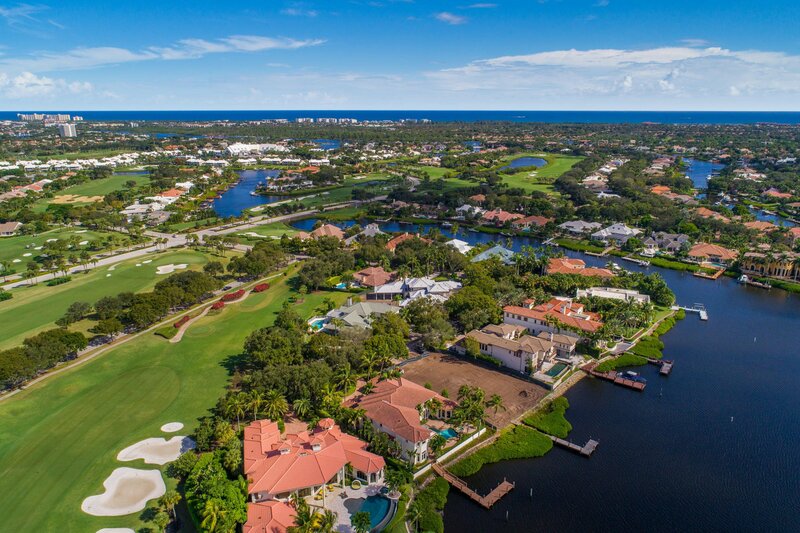 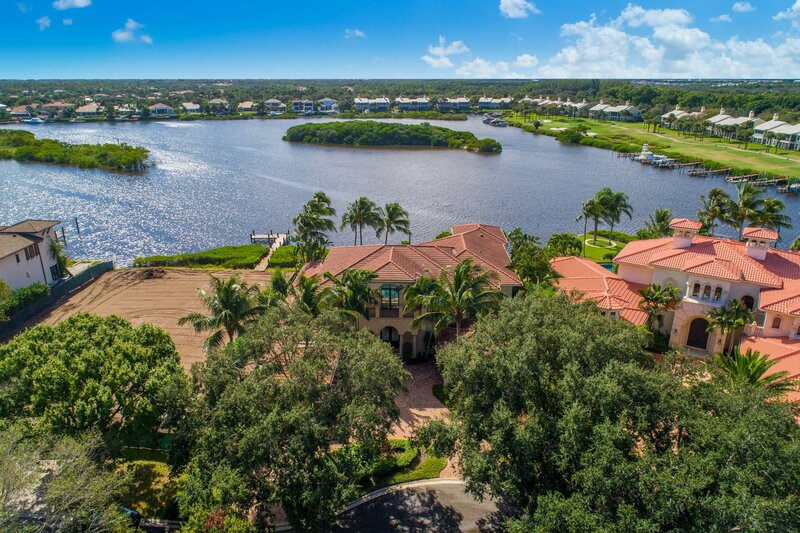 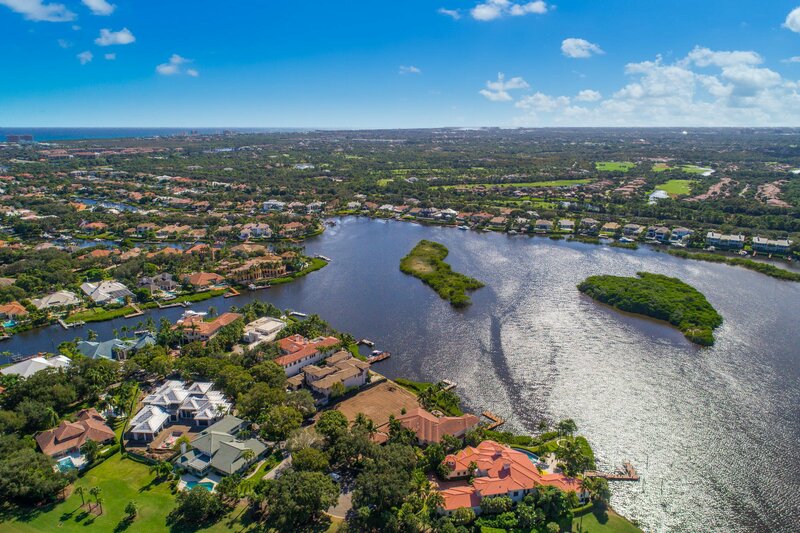 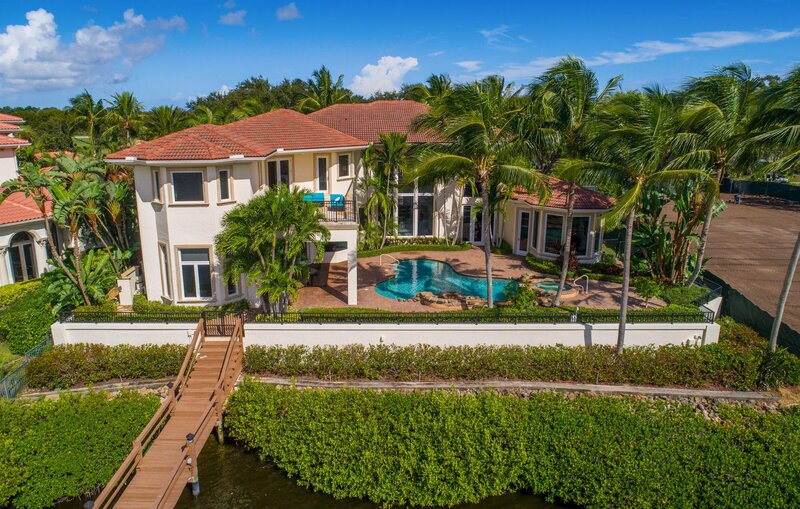 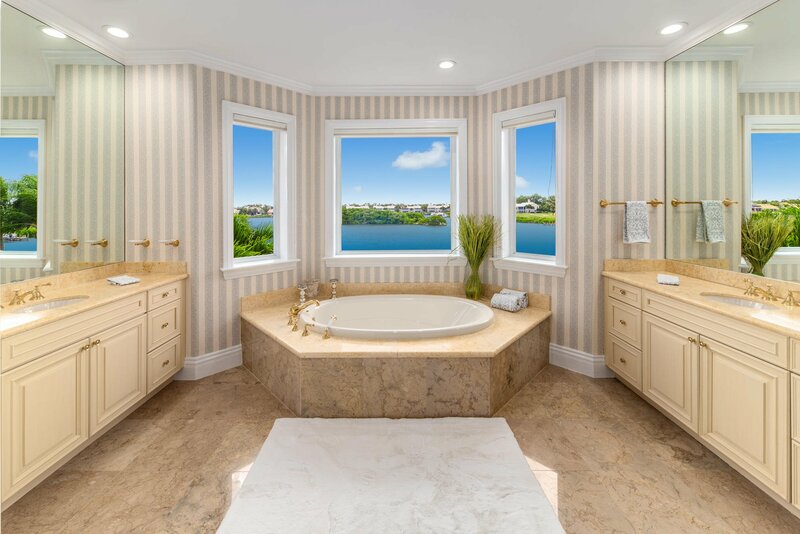 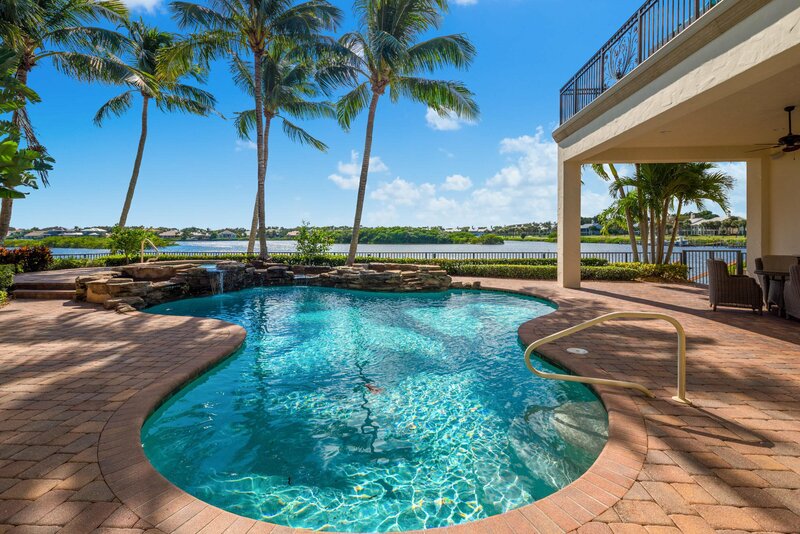 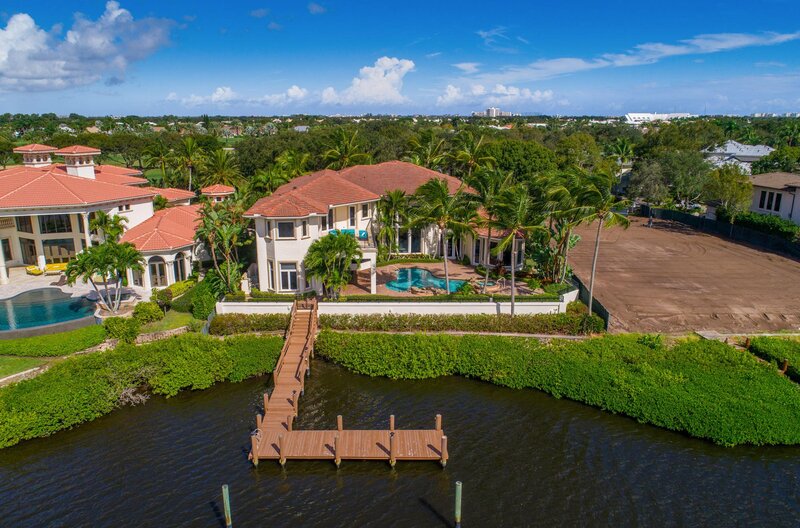 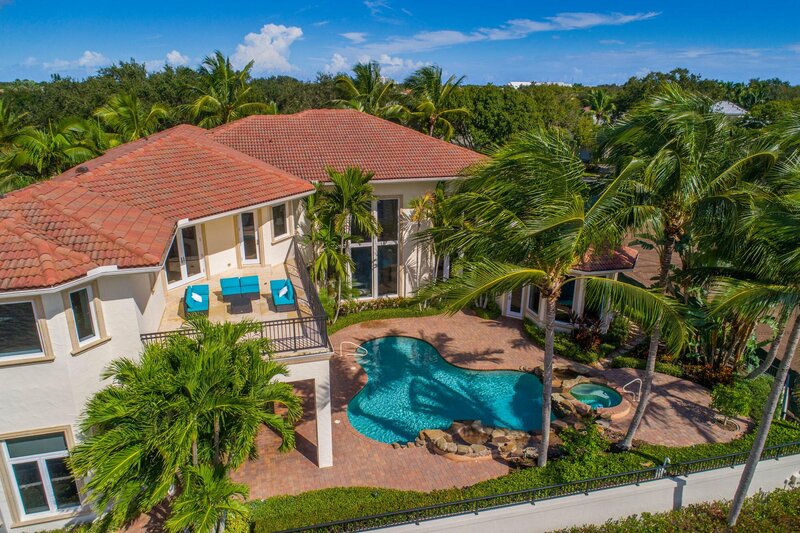 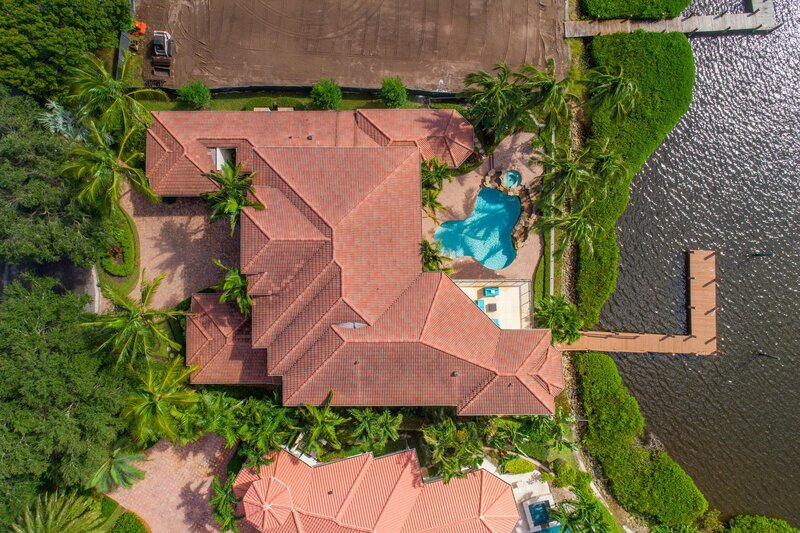 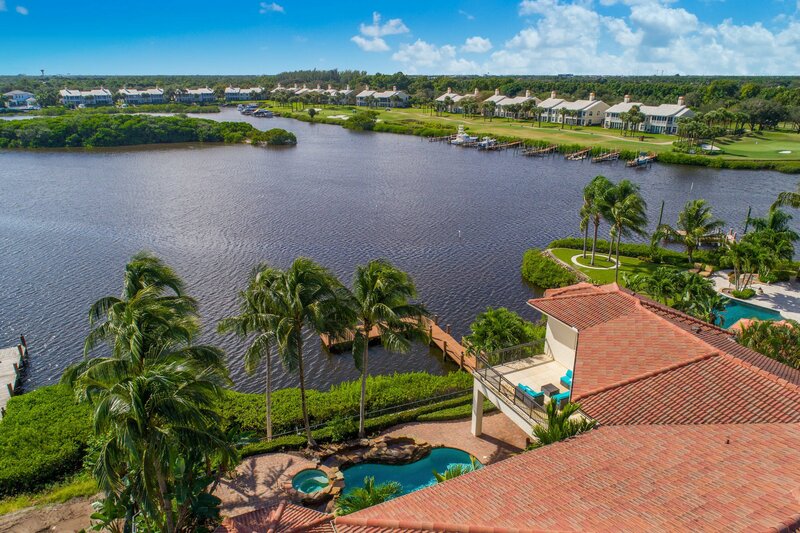 Magnificent 7,500 sf 5 bedroom, 6.5 bathroom waterfront estate in the premier location within Admirals Cove featuring the best and most panoramic water views with deep water dockage at the end of the cul-de-sac! 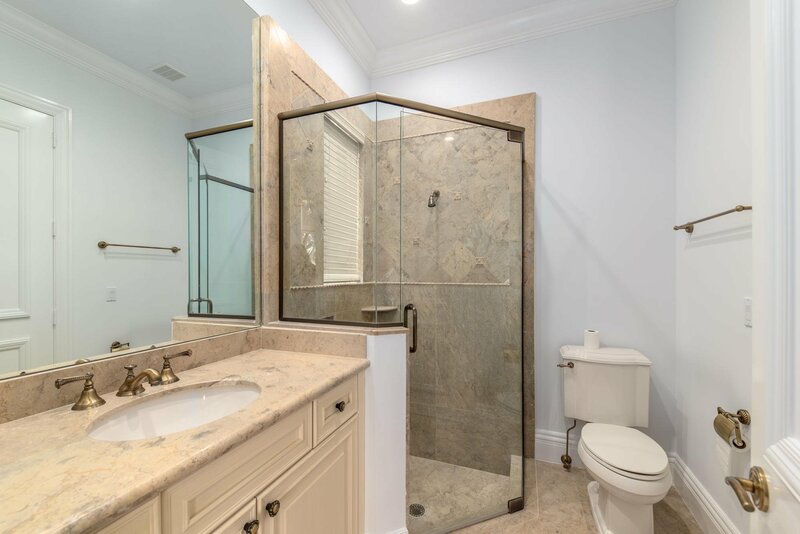 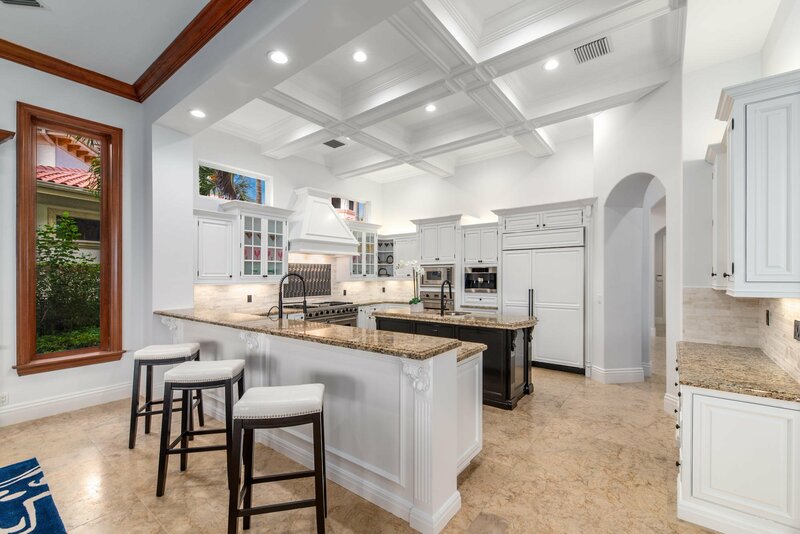 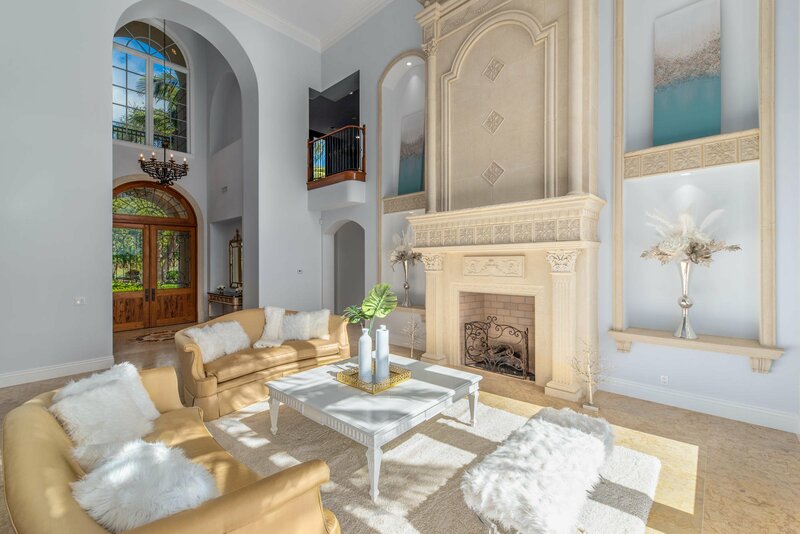 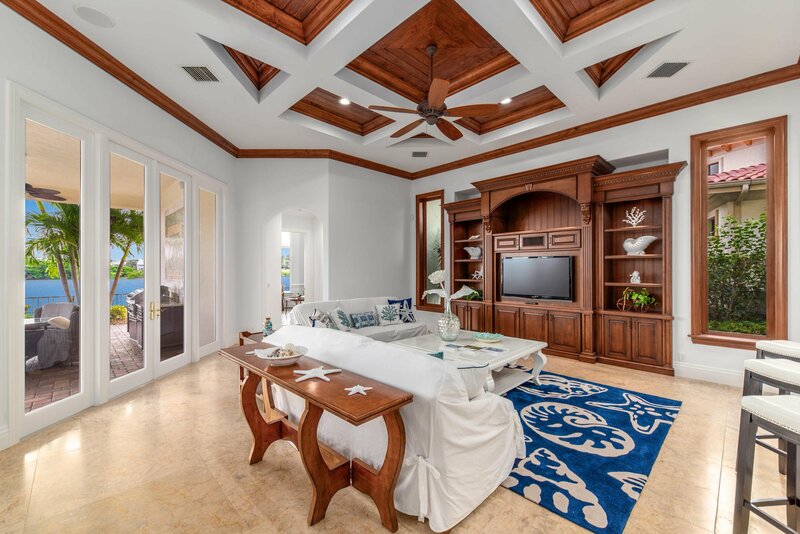 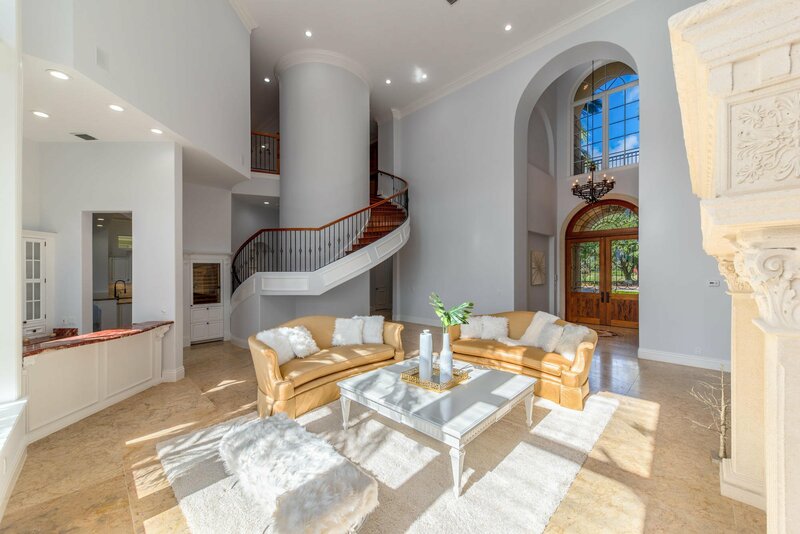 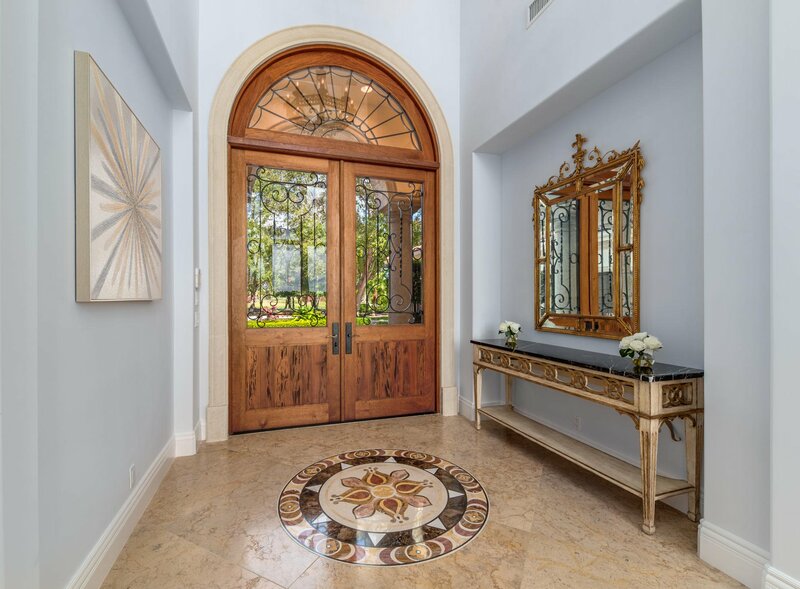 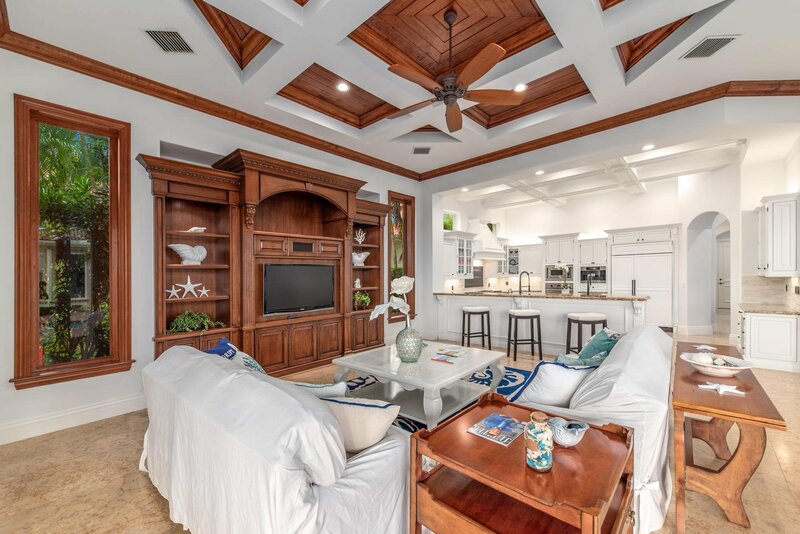 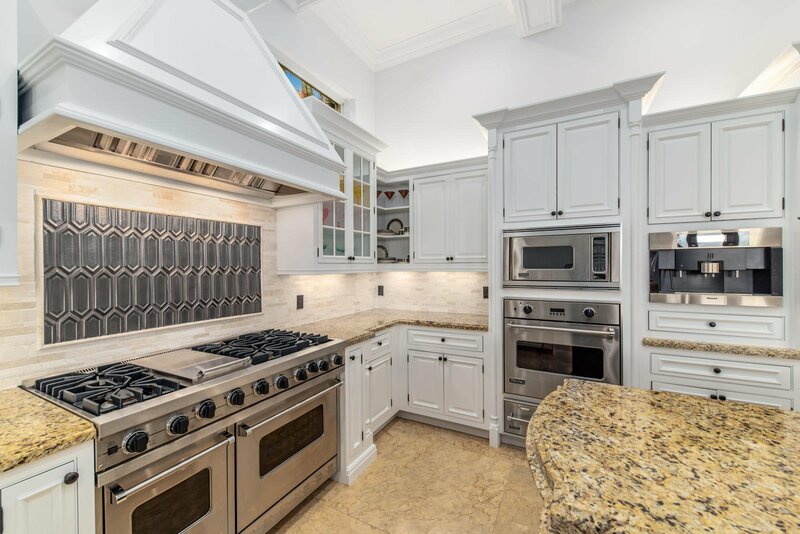 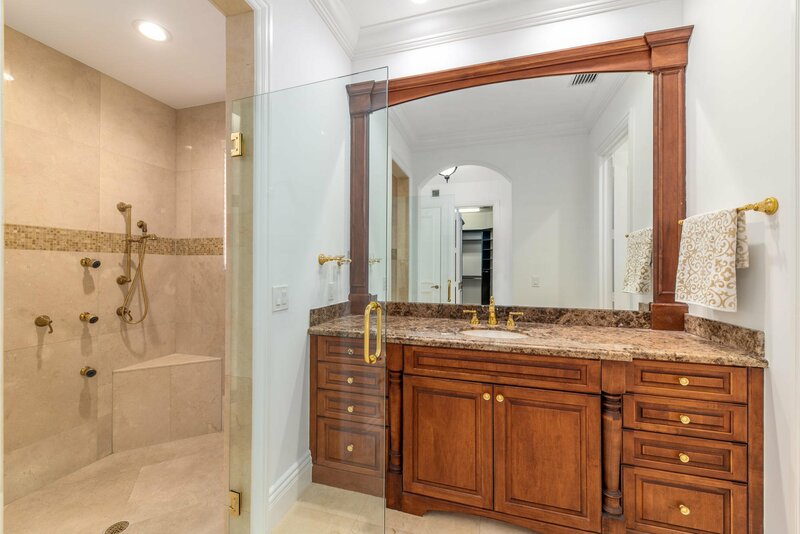 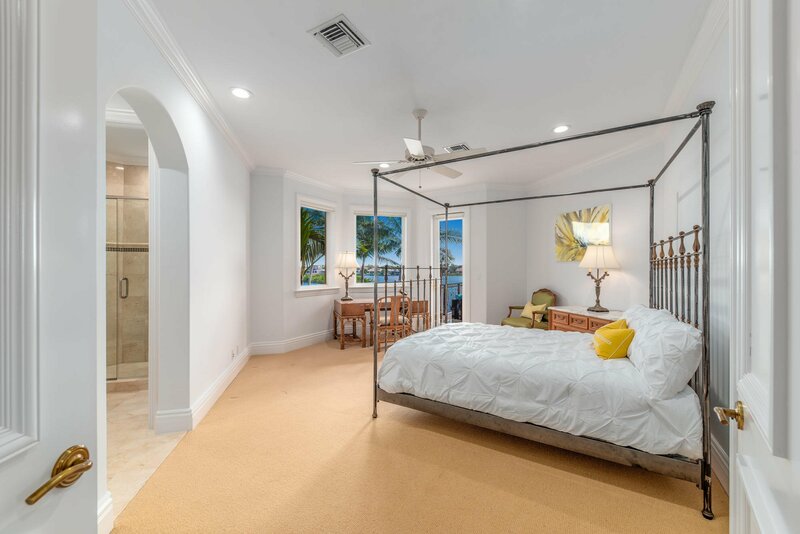 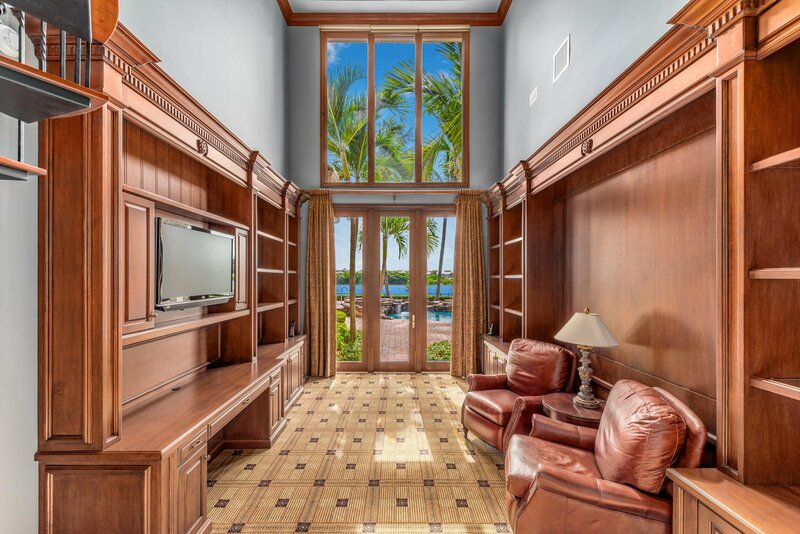 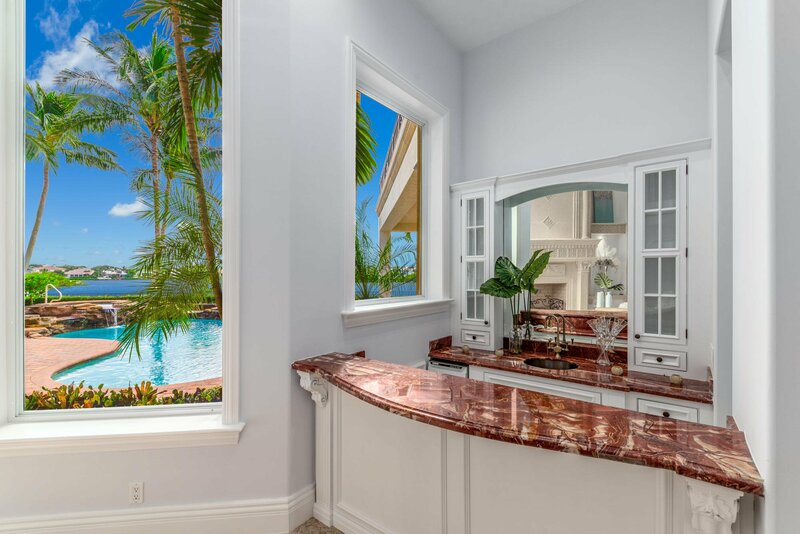 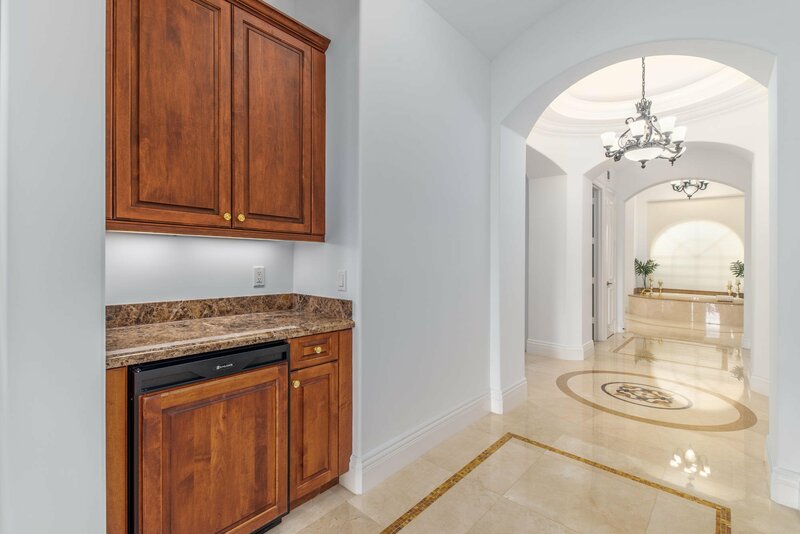 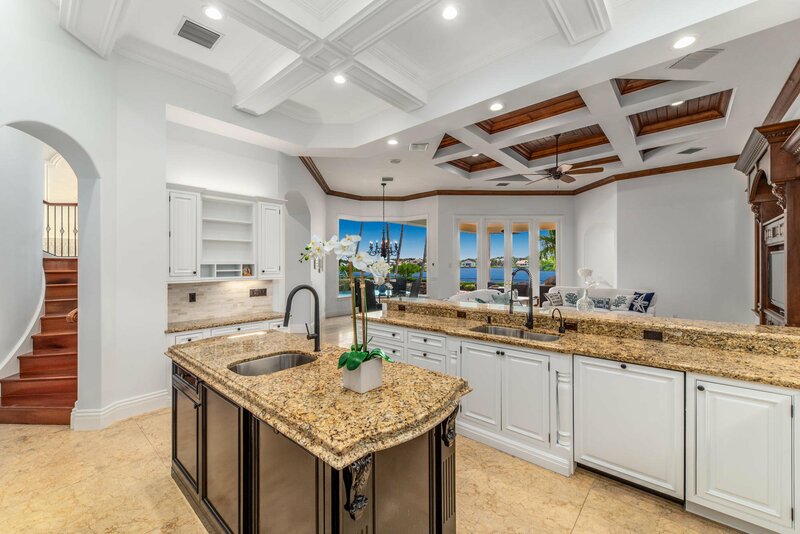 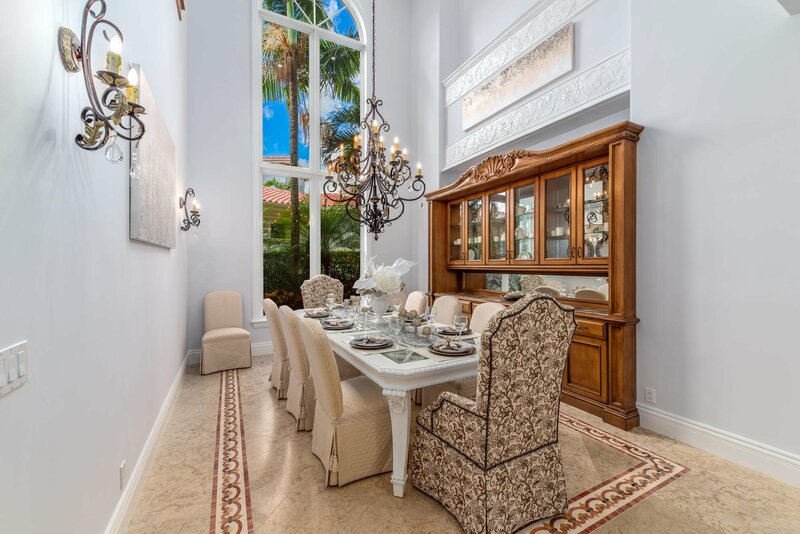 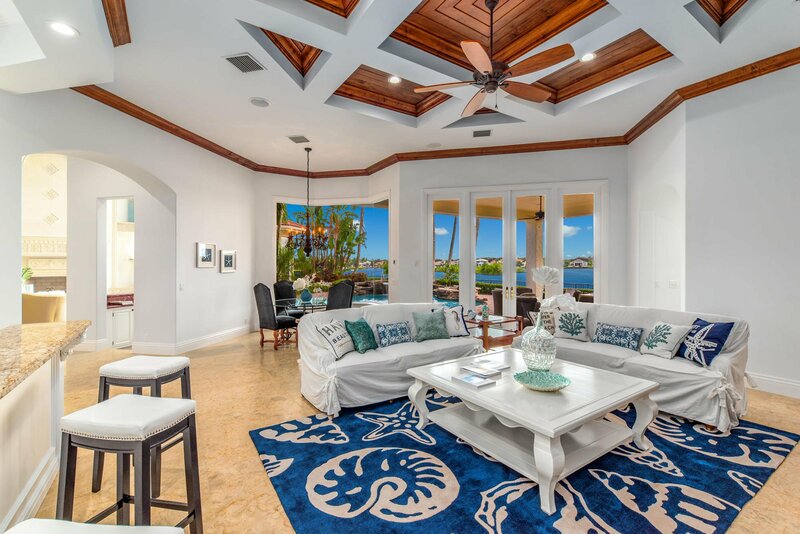 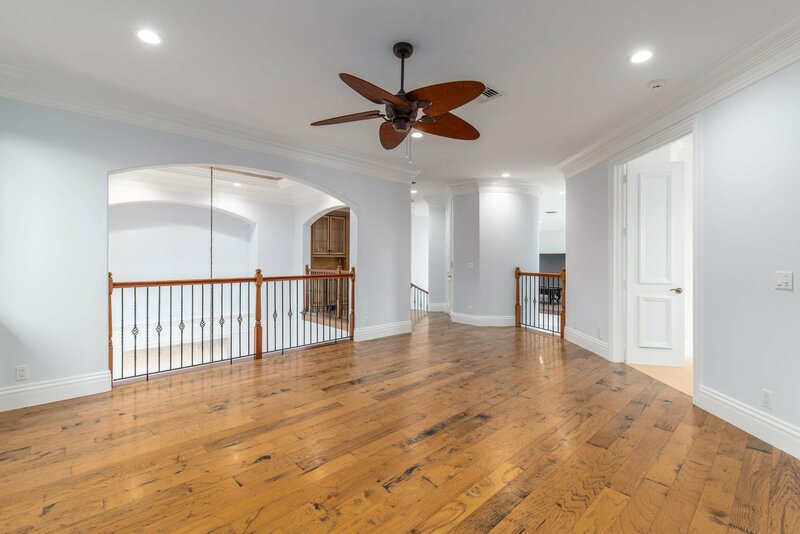 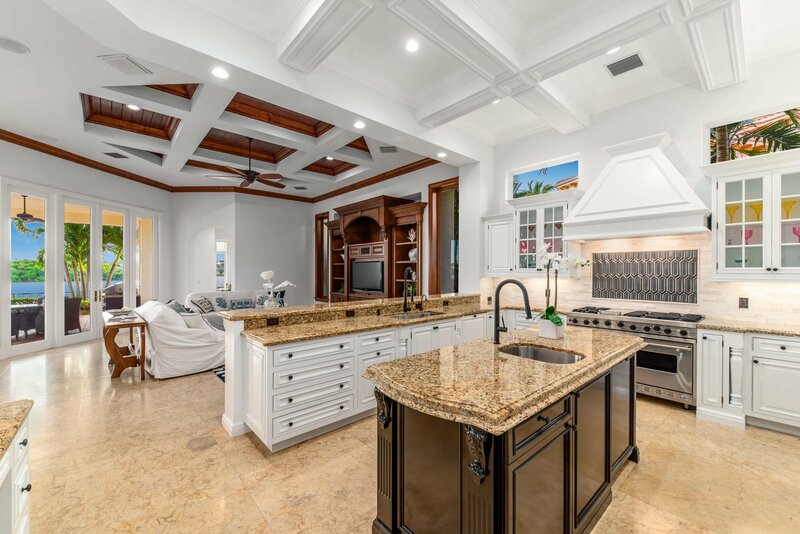 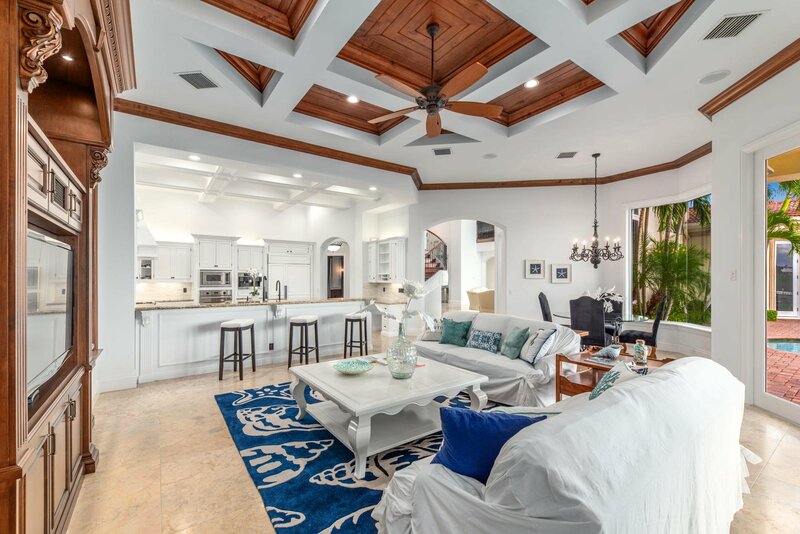 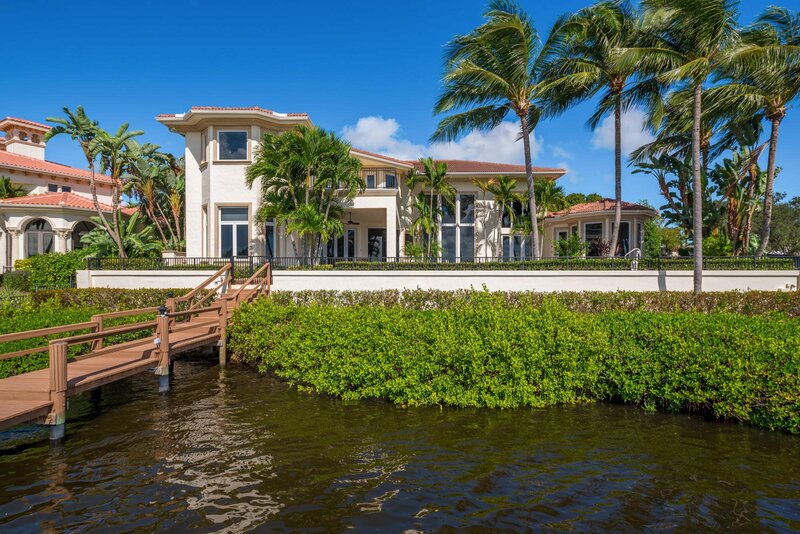 Custom built by Mustapick in 2007 and updated in 2018, the home features a grand living room with ceiling to floor windows overlooking the expansive water views, spectacular chef's kitchen that flows into the family room and over-sized outdoor patio. 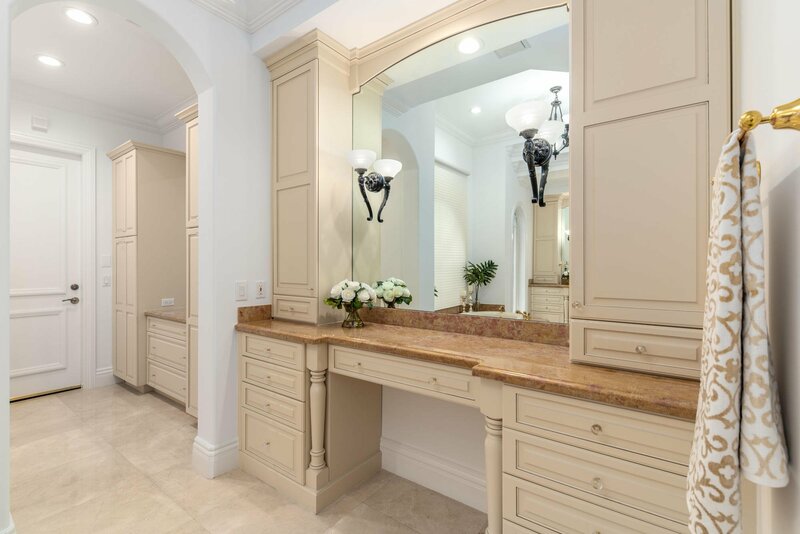 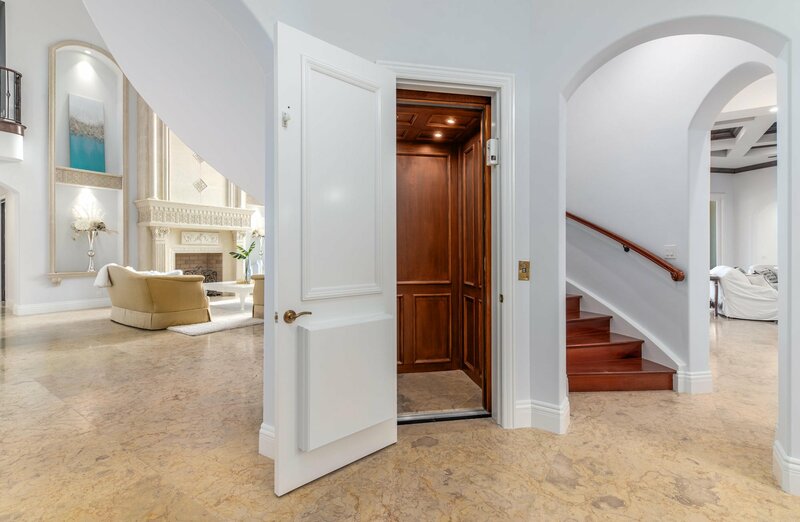 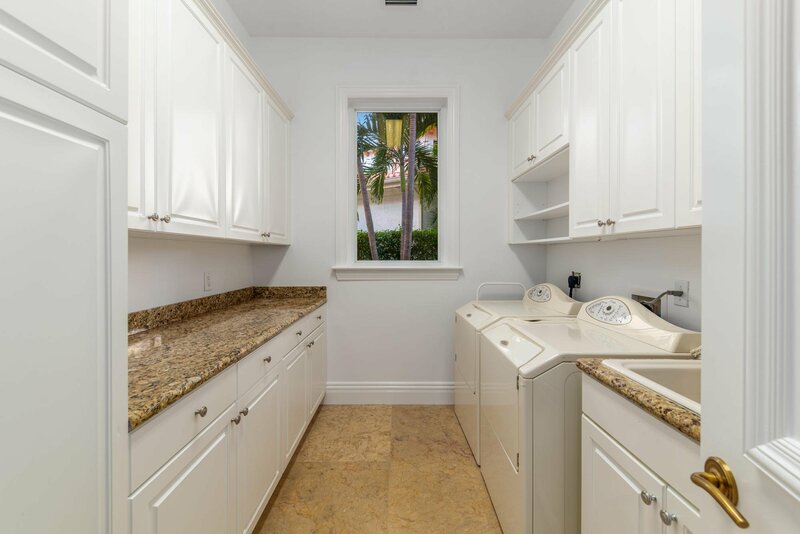 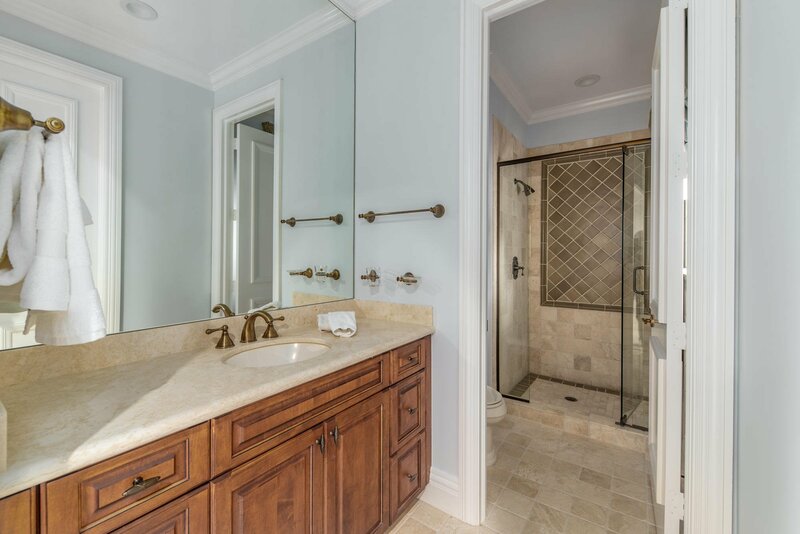 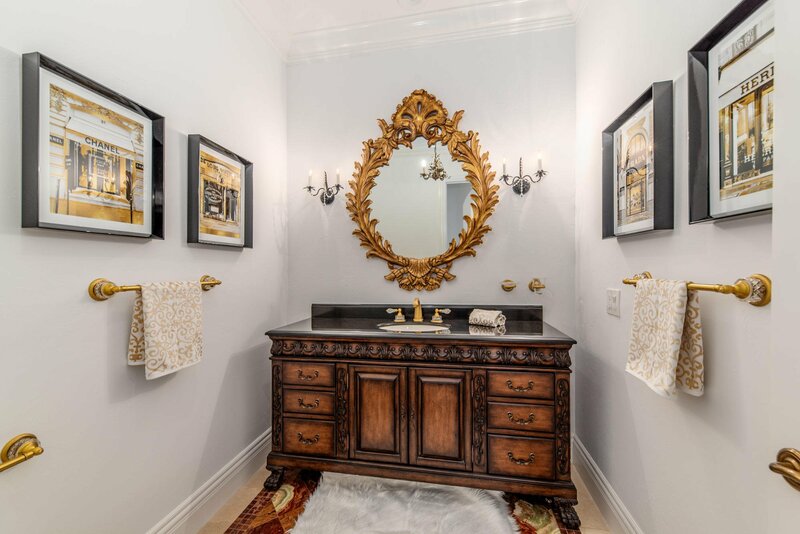 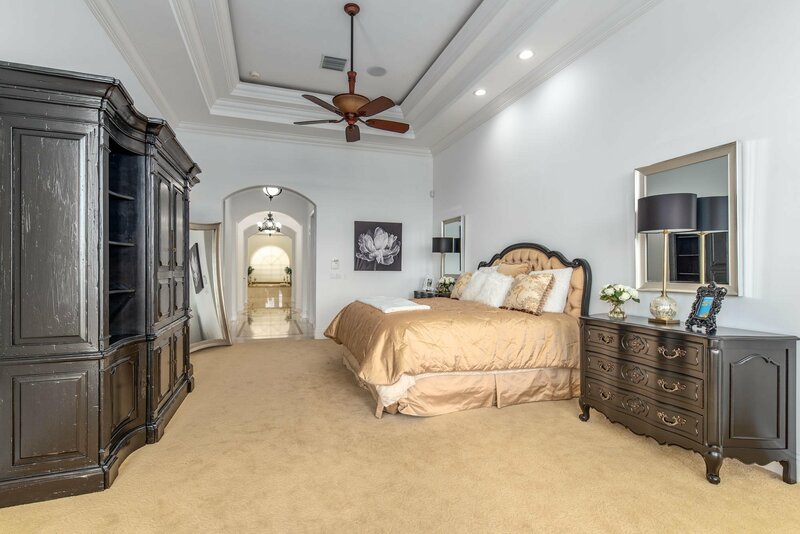 The spacious downstairs master has a sitting area, 2 large walk-in closets, and a luxurious bathroom suite. 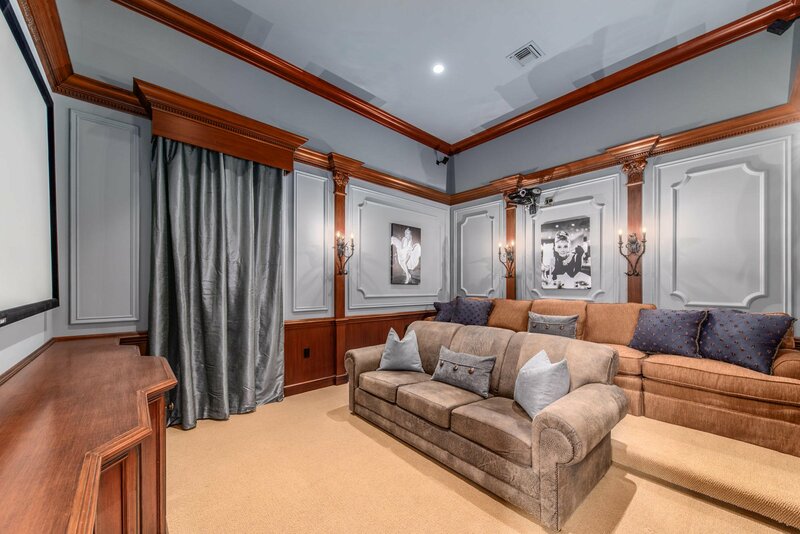 The first floor also has the theater, office, powder room and an additional bedroom suite. 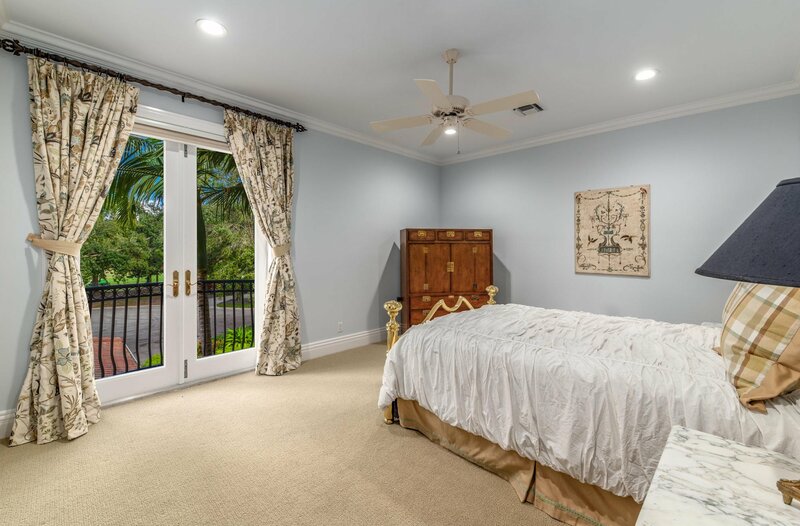 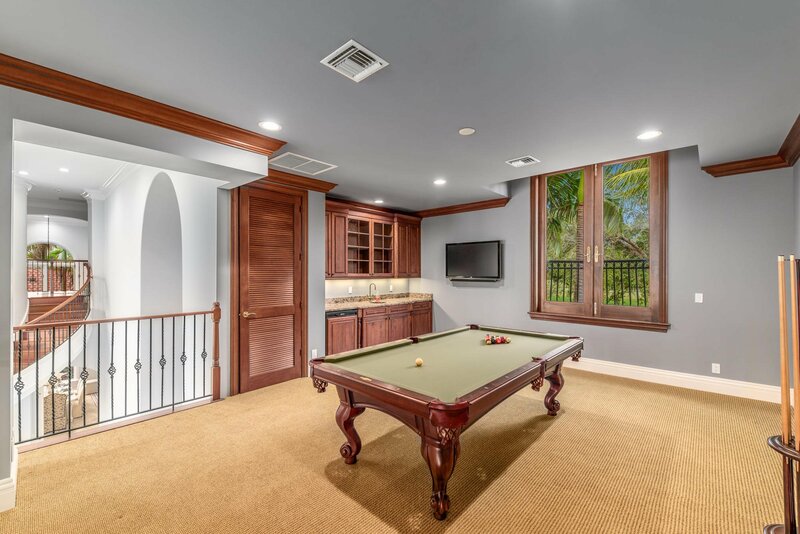 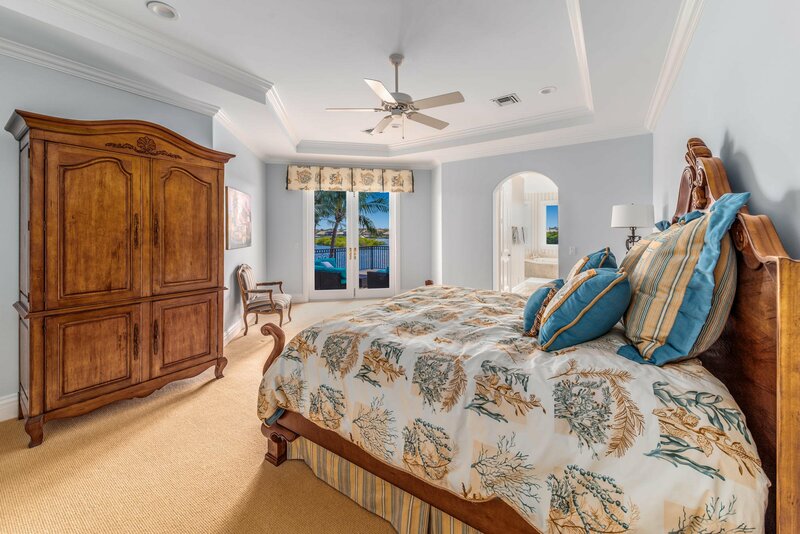 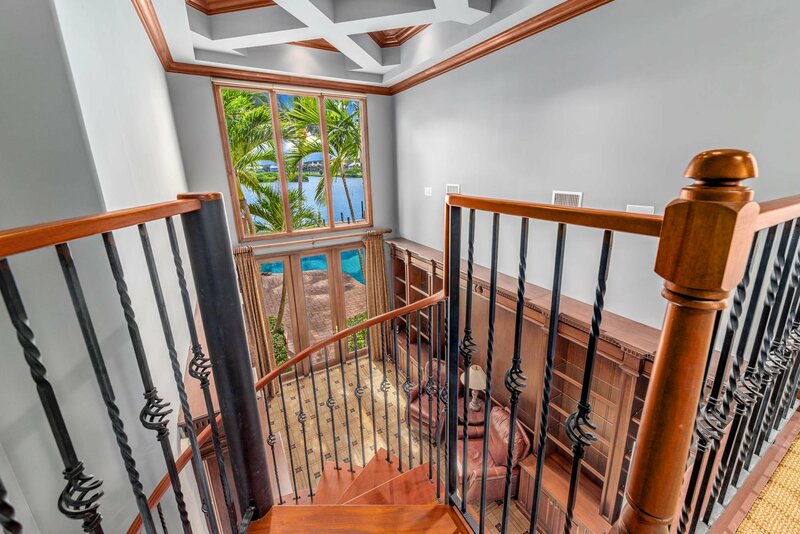 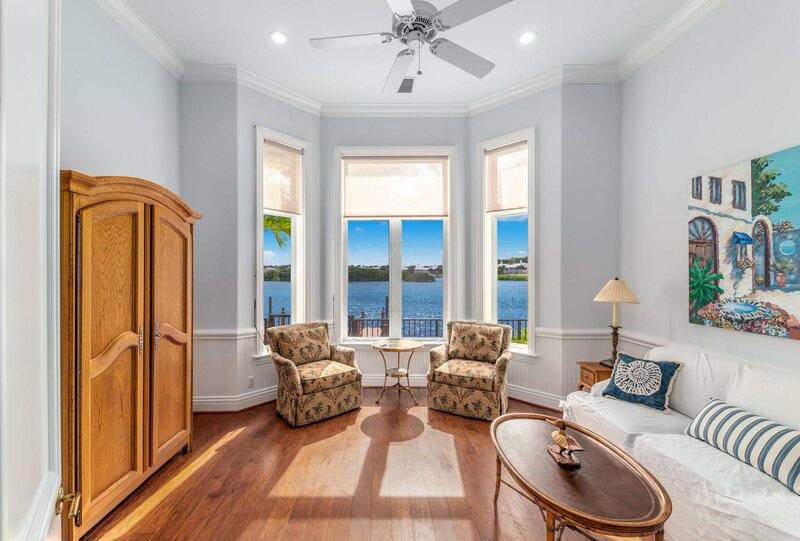 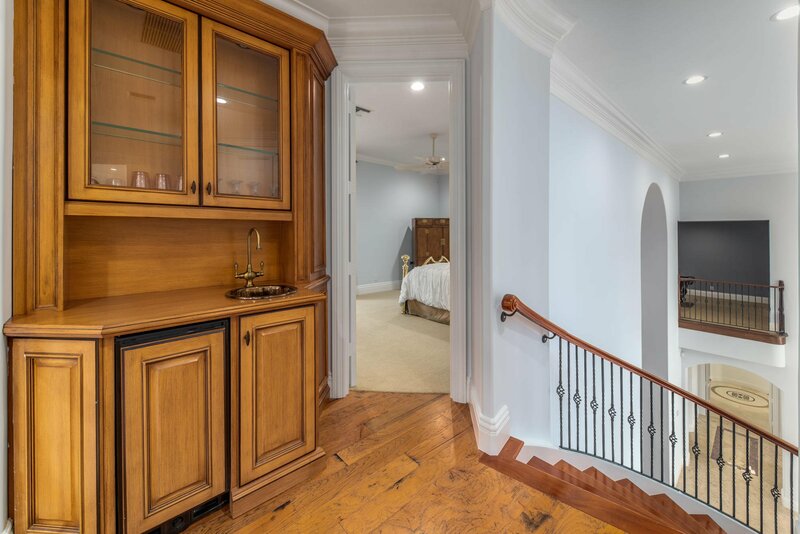 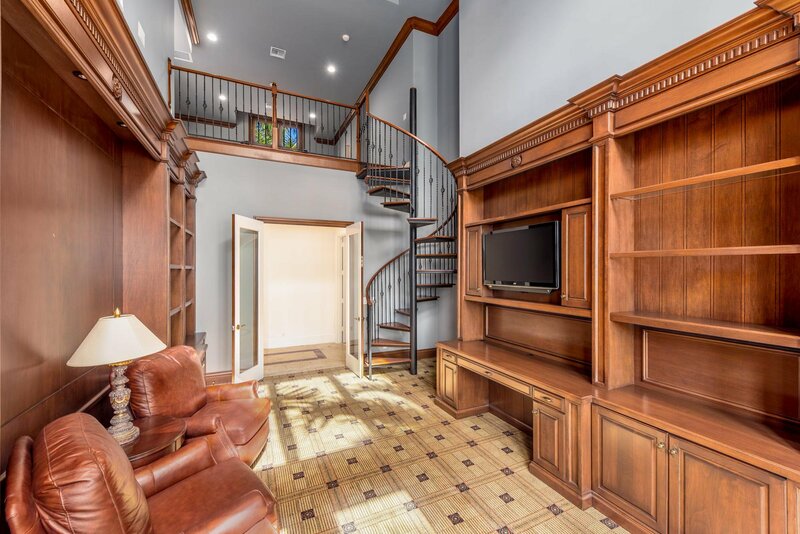 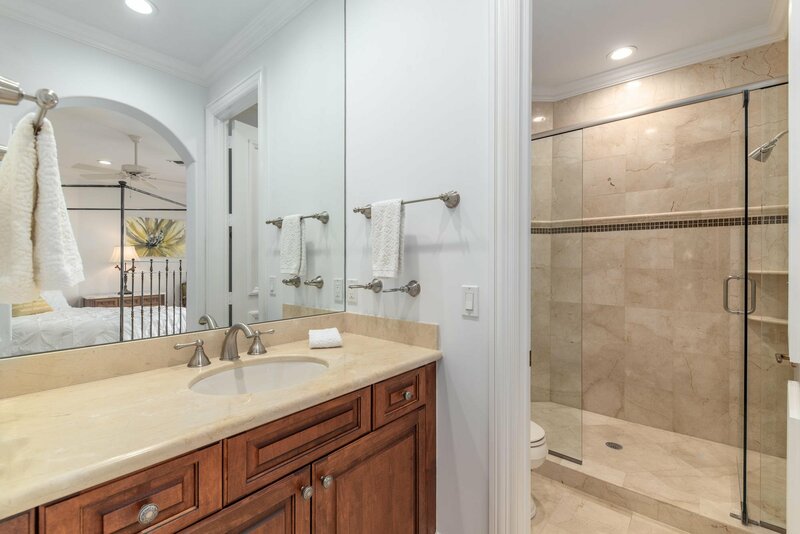 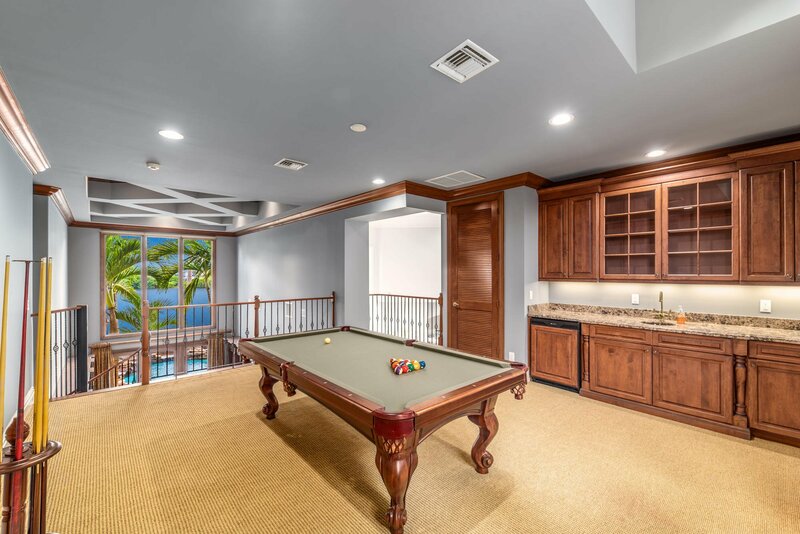 The upstairs master suite has a grand balcony with panoramic water views, 2 other bedroom suites, an upstairs family room and game room... ... are also on the 2nd floor. 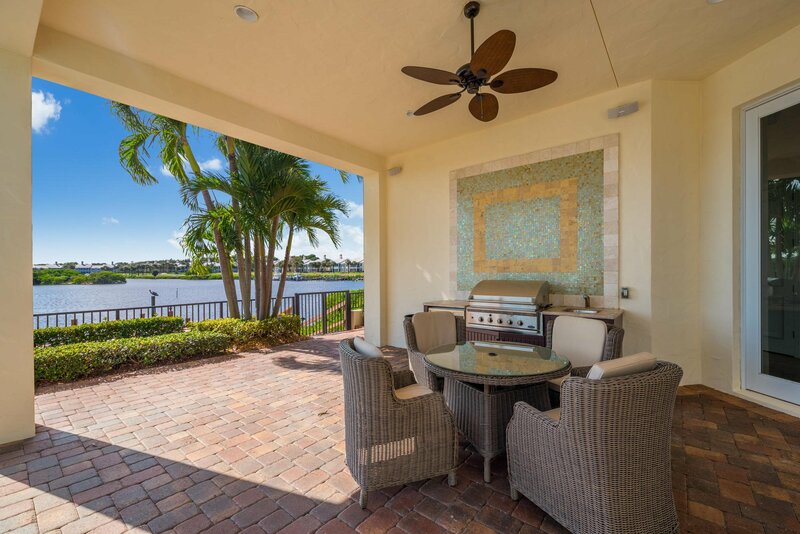 The outdoor living area features a wonderful summer kitchen overlooking the heated pool and spa with water fall features. 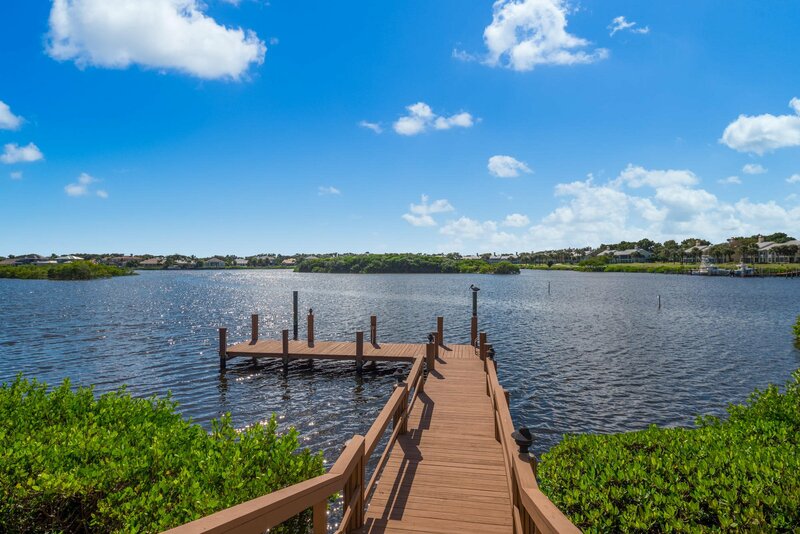 The dock can accommodate a 75' yacht, and has an additional boat lift. 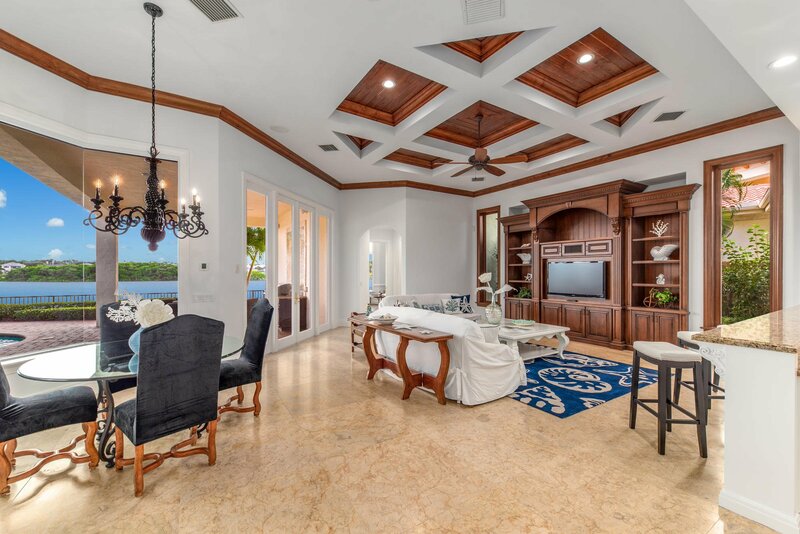 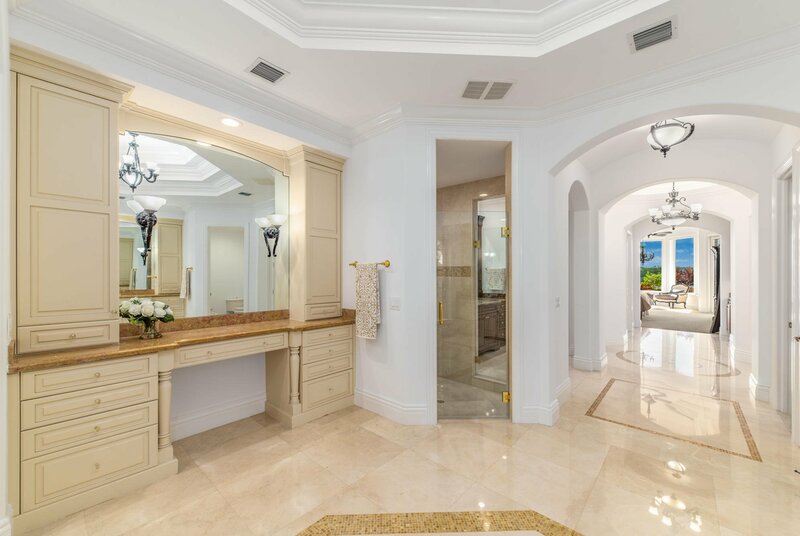 Nothing but the absolute finest finishes were used on this custom waterfront estate including all Anderson impact resistant doors and windows, beautiful ceiling detail with crown molding throughout the home, fine wood cabinetry, over-sized wine refrigerator, elevator and grand stairway, entire house generator, Viking and Sub-zero appliances and 4 car garage!